This Privacy and Cookies Policy explains how we use your personal information. Who has control of your personal information? 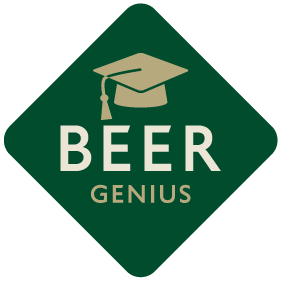 Beer Genius is a trading name of Greene King Brewing and Retailing Limited (Registered no. 3298903) registered at Westgate Brewery, Bury St Edmunds, Suffolk IP33 1QT and a member of the Greene King group of companies. Greene King Brewing and Retailing Limited is a data controller and will use your personal information as described in this Policy. We take the privacy of our customers very seriously and we are committed to protecting your personal information. If you have any questions in relation to the information we hold about you or our use of that information, please feel free to contact us at Company Secretary, Greene King, Westgate Brewery, Bury St Edmunds, Suffolk, IP33 1QT. We collect information about you in a number of different ways, including when you provide information on our website, in correspondence with us, or by telephone or if you visit one of our pubs. Title So that we can identify you to personalise our services to you. Interests or specific queries So we can tailor our services to you and for our own internal analysis and research. Where we need to do so in order to enforce our rights or protect our interests (for example, in order to enforce the terms of any contract that we have with you) or those of others (for example the rights and interests of other customers). As we develop our business, we might sell or buy group companies or other businesses. If we do so, this might involve transferring customer information relating to the relevant company or business to the person buying the business (who will only be permitted to use your personal information as outlined in this Privacy and Cookies Policy). When you provide your information, we give you the opportunity to choose to receive further information about products or services provided by the Greene King group of companies and other information which we believe may be of interest to you. You can opt out of receiving this information at any time by contacting the Company Secretary at Greene King, Westgate Brewery, Bury St Edmunds, Suffolk, IP33 1QT. If you opt-out of receiving marketing communications we will keep a record on our system that you do not wish to receive communications from us. You have the right to require us to correct any inaccuracies in the personal information we hold about you. You also have the right to ask for a copy of the information held by us. As a security measure, we may require proof of your identity before we make any changes to your information or provide a copy of your information. We reserve the right to charge a small administrative charge if you ask to access your information. Please contact the Company Secretary at Westgate Brewery, Bury St Edmunds, Suffolk, IP33 1QT if you wish to update your information, correct any inaccuracies or obtain a copy of your personal information. This cookie is removed when the browser is closed.